Supersize Gray Creepy Cloth. Drape this supersize gray cotton cloth over any area that needs a spooky touch. Create your own horror scene with this natural toiled netting! 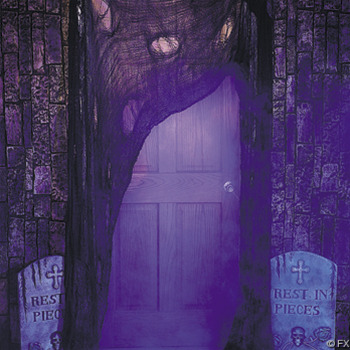 Ideal for decorating a scary haunted house on Halloween, this spooky webbing will add some major fright to trick-or-treat night! Perfect for stretching along gates or slinging over entrances! 8 yds. x 80" Imported. For decorative use only.